You’re running a total of forty wireless mics, a 21-piece live orchestra, and hundreds of sound effects cues. What do you do?! Chill! 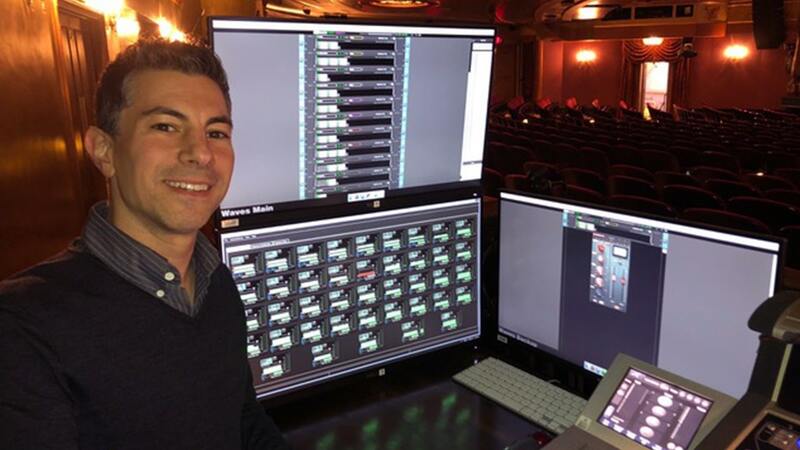 We caught up with Peter Hylenski on the set of Disney’s Frozen the Musical at the legendary St. James Theater on Broadway, to discuss his must-know tips to stay cool and facilitate sound for any large-scale musical theater production. 1. Remember, you have two jobs! As the sound designer, or even the head audio engineer, you really have two jobs. One is to deliver amazing sound for the audience. But you also need to keep the orchestra, cast, and the director happy. The role of the sound designer in musical theater is to oversee everything that happens in the production sound-wise, and how it affects everyone involved – audience, cast, everyone. It's not only creating sound effects and delivering a great-sounding experience to the audience. It’s also making sure that both the band or the orchestra can hear appropriately to play; that the cast onstage can hear appropriately to sing; and that the directors and producers are happy with the results. As the sound designer for a new production, you first have to think about the production’s needs relative to the style of music and how that will integrate into the theater you’ll be playing. Ask yourself: What loudspeakers are required to cover the house appropriately? Is this an orchestral score, or pop/rock based? What type of microphones and mic techniques are most complementary to the style of show? How are the acoustics within the theater, and even in the orchestra pit? In the case of Frozen, we did quite a lot of work on the acoustics of the St. James Theater. Many theaters I work in were designed before the use of loudspeakers, so much thought and care needs to go into creating the optimal system while working within the physical limitations of the building. Typical theater audio systems, especially in New York, rely heavily on loudspeaker zones: orchestra, mezzanine, balcony, etc. Breaking down the space into zones helps tailor the sound for the different areas in the room. For Frozen, we’re using a proscenium based system plus surrounds. There are loudspeakers hung house left and right, a center cluster and front fills; we also employ side, rear, and even overhead loudspeakers for surround capability. For coverage under the balcony and under the mezzanine, we installed delay systems and smaller fill speakers in each zone. The balcony level gets its own delay system from a mid house truss. Our orchestra is comprised of 21 musicians in the pit. The Broadway production of Frozen is slightly different from the movie with many new songs composed by Bobby Lopez and Kristen Anderson-Lopez. The original songs, plus the new material, is infused with an array of musical colors by Dave Metzger, our fantastic orchestrator. One of the challenges with Frozen is that part of the score is fully orchestral, while other parts swing to a contemporary pop sound. 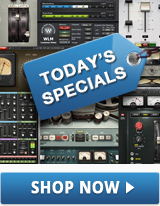 This means the plugins chosen and the mixes created need to be diverse. The time allotted to create the first pass mixes is short, so good workflow is essential. Be prepared with an idea of necessary plugins ahead of time. I rely on plugins running on MultiRack software as part of a Waves SoundGrid network with DiGiGrid MGO interfaces connected to our DiGiCo SD7T console. The SoundGrid Extreme servers handle all the plugin processing for both the orchestra and the cast. Other than some gentle processing happening at the buss stage, I generally use less processing on the orchestral instruments: strings, trumpets, etc. I like the PuigChild Compressors on the band busses; I use that as a ‘finishing’ compressor. Paired with the PuigTec EQs I can dial in the final stage of the music mix. For the rhythm section, I opt for a tighter studio-type processing: on drums, I love the SSL E-Channel. I also use the Kramer PIE Compressor for my drum compression group to elongate the full kit sound. You’ll see 1176’s and LA-3A’s on some rhythm inputs as well, most likely on basses or guitars. On the electric bass, I again like to use the PuigTec EQs. When mixing the performers with the orchestra, it’s all about ensuring the vocals sit on top of the mix so the audience can hear every word and connect with the story. For principal characters, I’ll set up a more in-depth vocal chain, usually involving a few different plugins, each with its own task. Some of my go-to’s on the vocal side of things are the Scheps 73 and CLA-76. They’re fantastic, especially for a hybrid show like Frozen that combines a full orchestra with contemporary pop. CLA-76 is fast and articulate for the vocals, so I can hold the vocals a little more while we’re in the pop-based tunes. Also great is the CLA-2A; so I might choose that if the character’s voice matches it’s style better. Occasionally there may be a character that is extra sibilant, so I’d apply the Waves DeEsser. For a little extra control, multiband compression is a great way to specifically target a problem area in a voice. For that, I use the C4 Multiband Compressor. With my workflow, I’m looking for something fast and easy to adjust. If the job calls for a compressor that is not based on fixed-threshold operation I’ll often use the H-Comp because it has straightforward, versatile controls – plus I like that it has a wet/dry blend. In this particular scene, the townsmen from Arendelle are searching for Queen Elsa to bring her back to the castle after she plunged the town into eternal winter. The first time they are heard they’re not seen onstage; sonically they needed to appear in the distance. To create that perspective I treated the vocals with the H-Reverb plugin. Once they appear onstage the reverb fades by adjusting the wet/dry balance. It’s a basic effect, but one that easily tells a story to the audience. As the song progresses Elsa gets more distraught and intense, creating shards of sharp ice as a protective wall. Bobby (the composer) and I discussed ways to make this rhythm based song more edgy. One subtle yet effective decision was to put the Manny Marroquin Distortion plugin on the bass as a sidechain, which was then dialed in on a separate fader. It gave the bass more overdrive and grit – which fit perfectly with the character’s emotions. 6. Sound effects play an important role! When I create sound effects, especially for a show like Frozen, my aim is to create unique sounds that accentuate the moment. I’ll try to twist and contort sounds. Many of the sound effects are created in my studio before we're in the theater, but I do carry a full FX library and portable Pro Tools system on site with me. Frozen called for some fantastical sounds – magic, whooshes and otherworldly ambiences. One example in the show is an icy effect to accompany the freezing of Arendelle. As the ice grows and takes over the stage visually, its sound becomes heavier. The LoAir subharmonic generator is my go-to of for adding extra bottom to effects. Other processing I find helpful: H-Reverb to create reversed reverb effects, sweeps, swells, and whooshes. It's so flexible, fast and easy to tweak. And MondoMod is great for giving motion and depth to some of the long, otherworldly sounds. It’s fun to get in there with these plugins and manipulate the sounds in unique ways. The actors are wearing tiny omnidirectional microphones on their forehead. So we don't really have the gain before feedback, or the isolation, to be able to feed massive amounts of vocals back to the stage. This means your job becomes managing the onstage levels while trying to help the cast feel as supported as possible vocally. It can be a very fine line. Determining the level of the onstage monitors isn’t always a fixed solution. One method is to find an appropriate level per song or per scene. It’s one thing to support a soloist onstage – but much different having a full ensemble of 20-plus cast all singing full. This requires a lot more level on stage, so you have to account for that. Approach the cast with an open mind and listen to their feedback: it's all about the communication. Frozen is a great example of a dynamic show; it’s a film adaptation brought to life onstage. I wanted to make sure the show was aurally as dynamic and cinematic. To deliver a dynamic experience, it’s important to identify the biggest, or loudest, moments in the show. And inversely, you’ll want to look for the smaller, more intimate moments. Create a roadmap of how the show moves between the two. You can’t have light without shade, so moments where you might push the audience back in their seats will feel more important when they are preceded by something gentler. It's sort of this push-and-pull, and all of that is done through the live mix, how you treat the sound, and even how you utilize the surrounds in the theater. You can create an intimate moment by taking sound out of the surrounds and only using the front-facing system. But then you can open up into the surrounds and have music and sound effects zipping around the room, creating a larger experience. Taking the audience on a dynamic journey with you is key. To learn more about mixing musical theater and musical film, check out this Q&A with Greg Wells on producing The Greatest Showman OST.